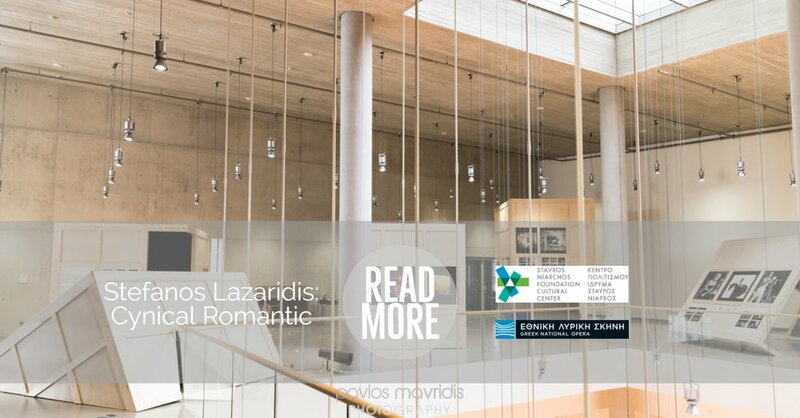 Last week I had the honor and the privilege to visit the exhibition dedicated to the work of the renowned Greek set designer-director and former Artistic Director of the Greek National Opera, Stefanos Lazaridis Cynical Romantic. 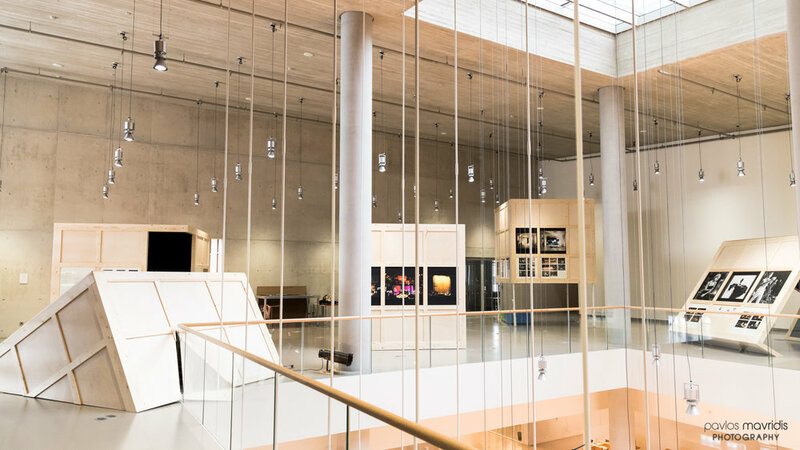 The event took place at the Stavros Niarchos Foundation Cultural Center. 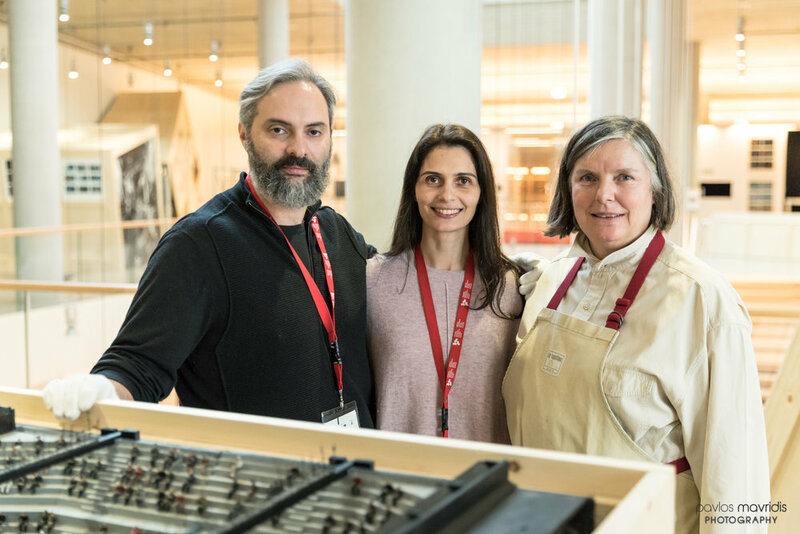 I was invited by Valentina Tamiolaki, lighting designer of the exhibition, during the set up process, just one day before of its official opening. 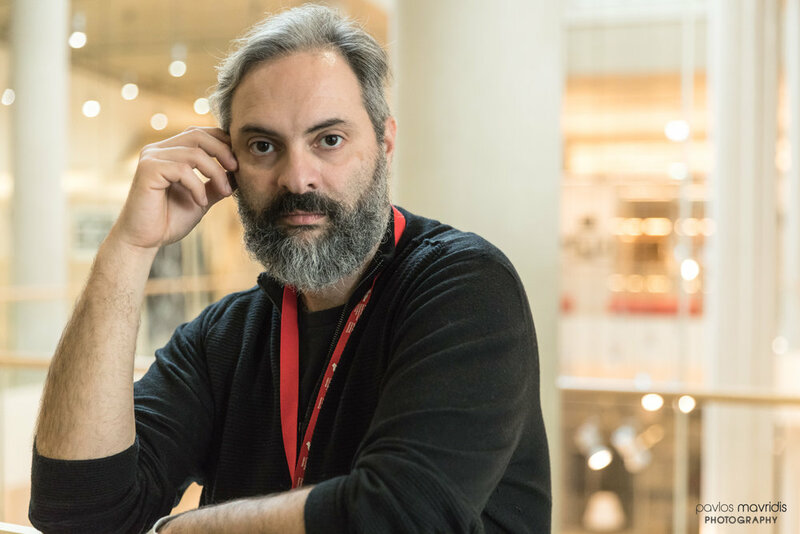 The curator of the exhibition, visual artist Adonis Volanakis, apprenticed to Stefanos Lazaridis and collaborated with him at the English National Opera. 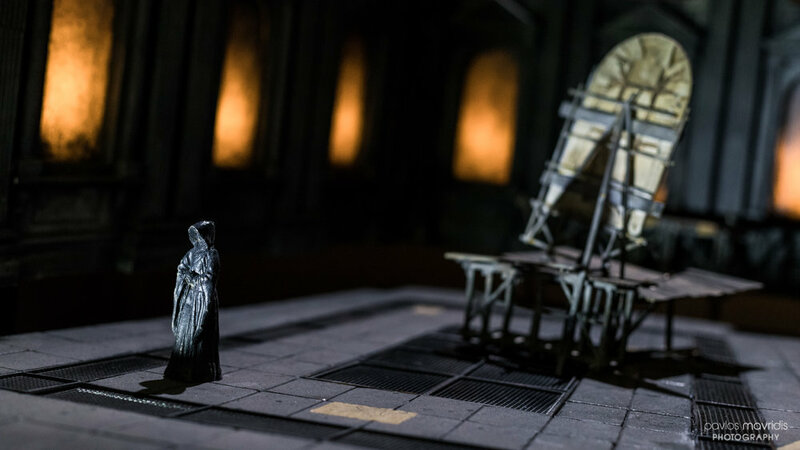 Two model exhibits, both reconstructed by Matt Deely, caught my attention as they were related to stage lighting in a more active way. 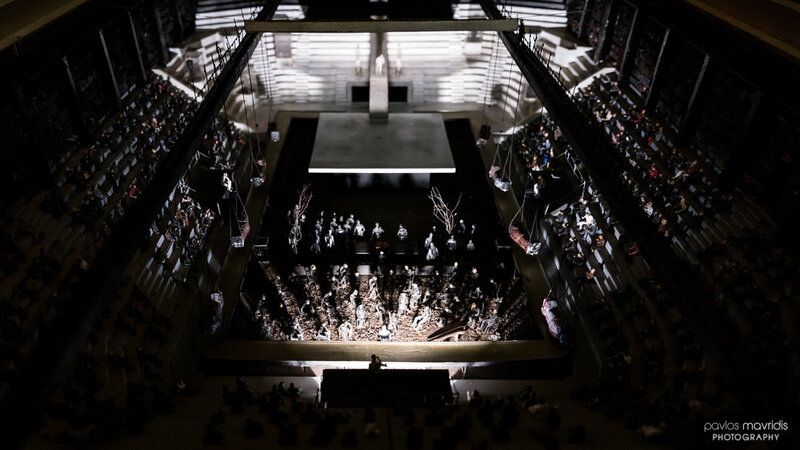 The lighting set up made by Valentina Tamiolaki was simple though to the point, magically transforming these small models into live stages, by mixing different white color temperatures. 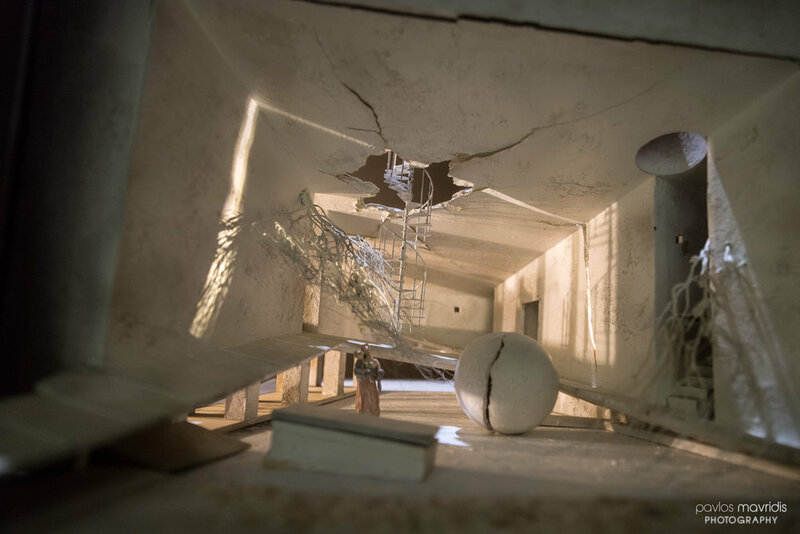 The textures and the details of the models were emphasized in an impressive way by the use of light. 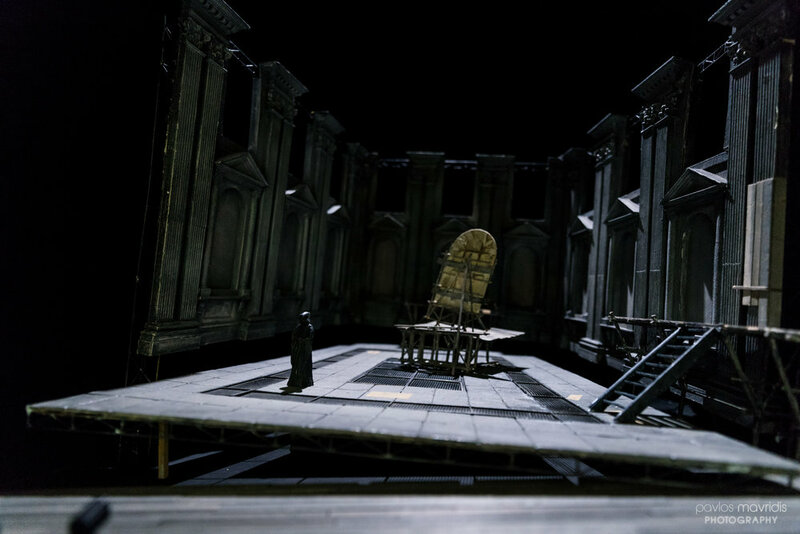 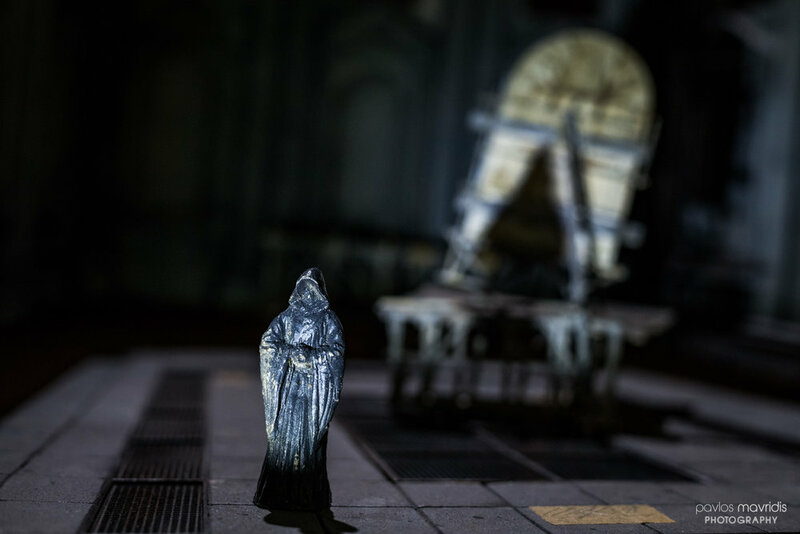 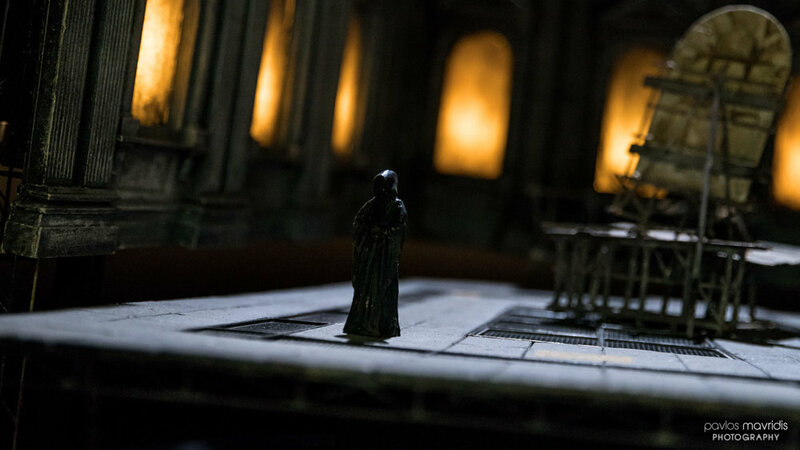 The first model box was a representation of the famous opera Tosca by Giacomo Puccini. 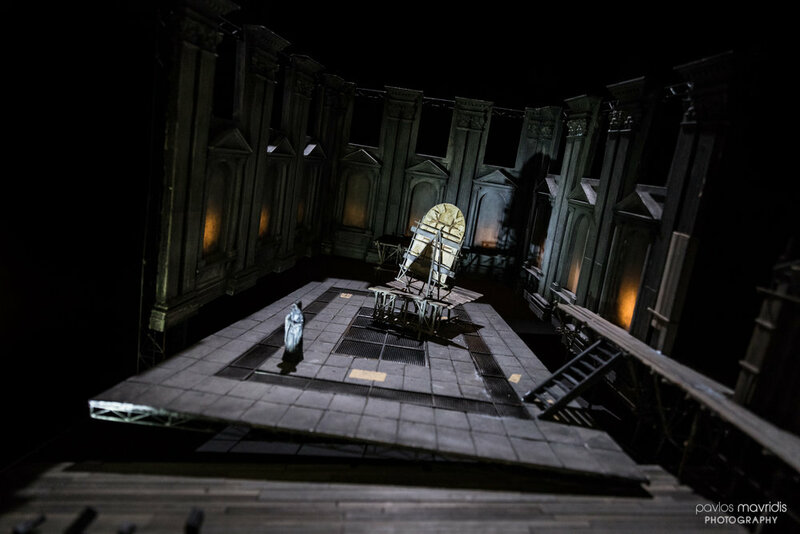 Right next to this, was another impressive model box, a representation of another famous opera Pelléas and Mélisande by Claude Debussy. 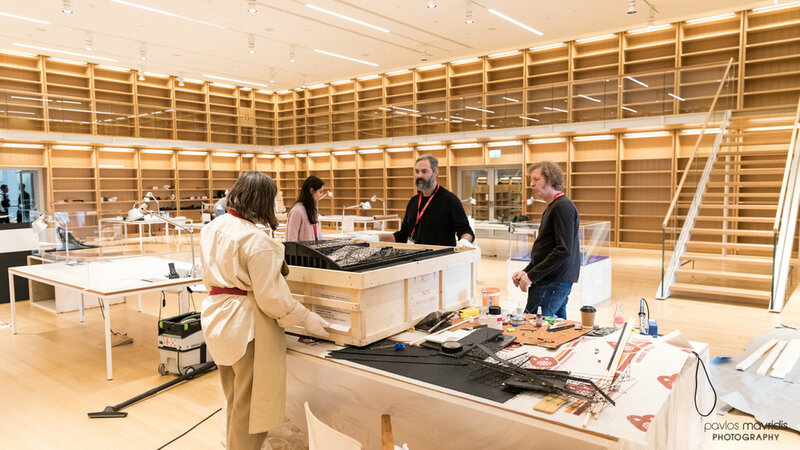 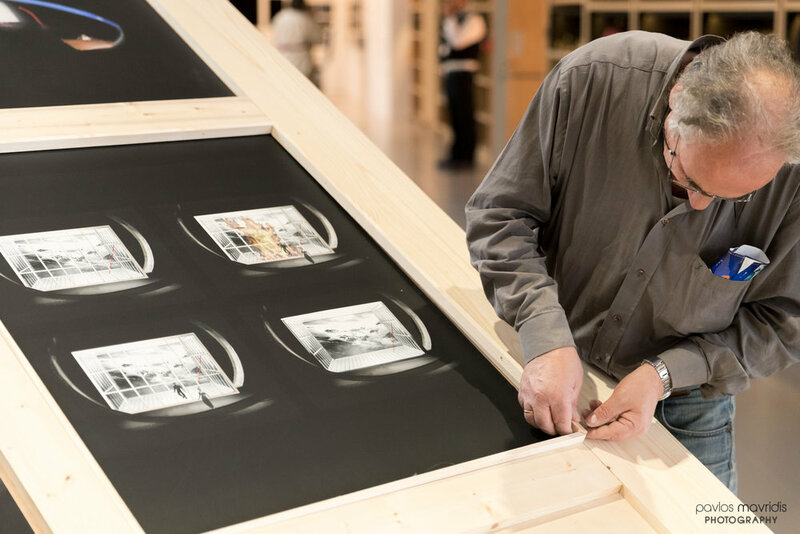 The tribute to the renowned set designer-director and former GNO Artistic Director is completed with an extended exhibition on his work, that will run from February 4th to March 10th 2018, Monday to Sunday 09.30-21.00, at the National Library of Greece Patio (4th floor) at the Stavros Niarchos Foundation Cultural Center. 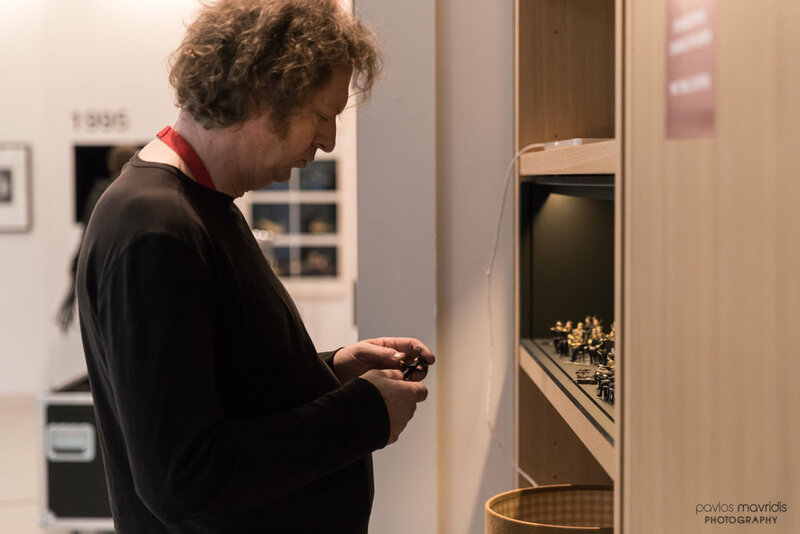 The exhibition is co-organised by the Greek National Opera, the National Bank of Greece Cultural Foundation (MIET), the National Library of Greece and the Stavros Niarchos Foundation Cultural Center. 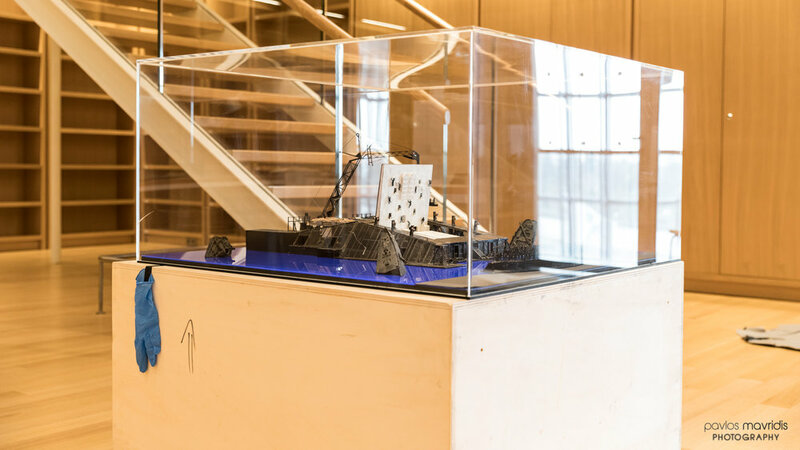 The exhibition is a donation by the Stavros Niarchos Foundation.